These 4-bedroom Whistler chalet residences offer high-end finishes from top to bottom. 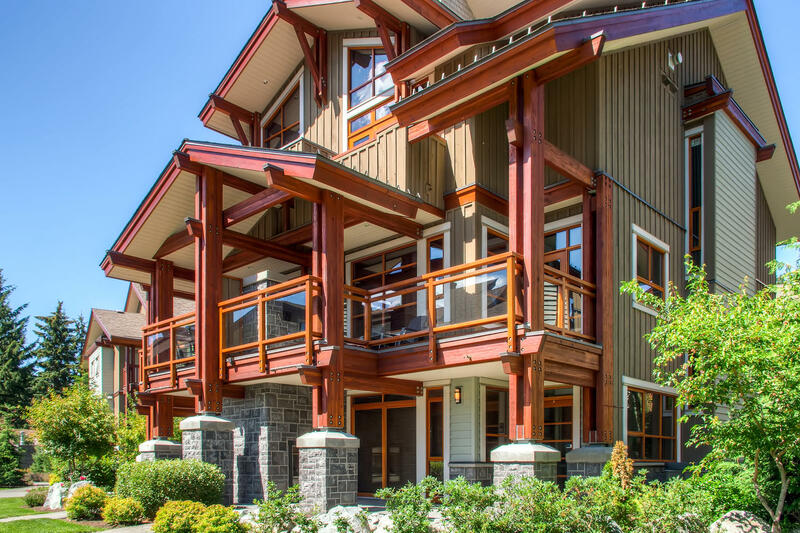 Located just a short stroll away from Whistler Village, Fitzsimmons Walk townhomes offer excellent sun exposure, full views of Whistler and Blackcomb, and easy access to hiking and biking trails. The main village and Whistler lifs are just a 10-15 minute walk, or a 3 minute car ride. This 41-unit townhome complex features a West Coast alpine comtemporary style, gourmet kitchens, environmentally friendly appliances and design, and spacious master suites. Central air conditioning, secure underground garages, wood burning fireplaces with gas assist, and an outdoor "living room" with fireplace and hot tub are just several of the luxury amenities at Fitzsimmons Walk. The complex is built around a pedestrian-centric plan, so that it's easy to enjoy the best that Whistler has to offer.